A lot has happened in this new year of 2013. In January, I spent a week at YWAM Norway’s workers gathering, a yearly meeting of staff and students for worship, teaching, and a good time; this was truly inspirational. God is doing great things in and through YWAM, and I am proud to be a part of them. Since then, the weekly routine has been a combination of teaching, art, chores, and outreach preparation. Recently I created a social Injustice painting, worked on designing and painting a guitar, and received excellent teachings on perspective and portrait drawing. Although I remain busy in my art track, I have managed to really work on my music and I can see lot of improvement in this area as well. With my Social Injustice piece, I focused on how the extreme majority of babies diagnosed with Down syndrome are rejected, aborted, and replaced by a "normal" baby. I call the piece, "The Ultimate Rejection". Being rejected for who you are is hardly just, and I feel this matter should receive more attention. Outreach preparation is a crucial part for our upcoming trip; we have studied India’s culture, art, economy, history, and other relevant topics. To impact people, it's necessary to know where they are coming from: what they have experienced and what they consider truth. We continue learning about India, what our plans will be, and other outreach details. The outreach team and I will leave for India on March 6, and return to Norway April 29. While there, we will work in separate ministries, such as: red light district women and their kids, orphans, and the impoverished in the areas we visit. What I will be doing after my DTS… Right now, I am weighing different options, praying and thinking on what I should do. A person plans his way, but the Lord directs his path...Please pray that God would show me what He wants me to do. Phenomenal thanks to all of you who have supported me through your prayers and support, God bless! We had five kids from Llano de la Cruz participate in our Purpose Driven Life group. We learned about each other, our abilities, what we like to do, our thoughts about God, and our relationship with Him. We also became closer friends. I'm sure when people think of writing their testimony they think about how they came to know Christ, but it's also about what has happened in your life, what .you have learned and experienced with God, your passions and the Good News. One purpose in life is to serve God and we learned about our SHAPE and that means Spiritual gifts, heart, abilities, personality and experiences. One thing that really impacted me in my SHAPE was prophesying. I can serve God as I say the things God wants me to say. I had the privilege to attend a training conference for children's church workers, directed by our awesome friends Danny and Peggy Thornton. During the four day conference I learned the different personalities of clowns and mimes, how to act like one, and how to paint my face as such. I also learned different dramas and tricks each with different meanings and lessons to learn. After three days of learning all the participants went out to evangelize in a nearby neighborhood, many children and adults received Christ. The next day the Thorntons gave each church represented a supply bag and sent us all back to our cities to evangelize. I have decided to use my new-found skills and what I learned to teach children's church. On a separate note indicate donations are for Nicaragua. Lance has had an awesome time of growth in the first months of the Discipleship Training School in Alesund, Norway. Enjoy his newsletter and please continue praying for him. It's been three months since I started this DTS and God has done so much with me and in me. I've worked with several churches in the area with a few different projects. I have spent time with youth, simply talking, relaxing and playing, as well as praying and being a positive example for them. During this time with youth, we also have some food, games and a simple devotion. In November, a team of artists and I traveled to a town 3 hours from Alesund to spend some time with a church. We spent two days participating in youth groups, and a night relating and sharing with the youth leaders. 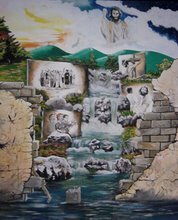 Many of the leaders were touched by the prophetic art pieces that were made for them. Aside from spending time with the church, we also visited a school and spent two hours in a classroom with 18/19 year olds. As a group, we shared on the individuality and uniqueness of every person. Unfortunately, we could only spend 3 days in the town, so things were a bit stressed, but we had a great time working, learning and sharing God's love with the people there. Now it's December and I am spending a two week break here in Norway. It's been a great time of rest and accomplishing other projects; such as the recording of several songs I've written. Christmas Break will be end on the 1st, and then we return to our routine week of teaching. It has been confirmed that I will doing my months of outreach in Asia, however the exact location cannot be told just yet. Pray that the Lord will provide wisdom, health, and resources, and that He would give me these in abundance. If you are interested in my artwork, you can browse through my online portfolio. Often, people have a skewed sense of justice, or a skewed view of humanity. The painting is in a diagonal format. The white figure is trying to push it back to the straight horizontal format. I want to do this in my life and through my art. I want to show people, in a loving, kind, inspiring way, the things they have misunderstood or misinterpreted and help them adjust to a correct Biblical worldview. I have realized that thankfulness is the key to humility and faith. Thanksgiving is key to humility because it reminds us that all comes from the Father of Lights. He is our designer, source, life and salvation. Thanksgiving is key to faith because it reminds us of all ABBA has done for us. Remembering what He has done causes faith to arise so we believe He will do it again. Truly our Eternal Father is the source of all and He is ready and willing to "do it again". We give thanks for Dunamis Institute members Chris Walker, Sam Hale and Judy McManus (intercessor) for their investment of time and effort to come and teach the In the Spirit's Power track of Dunamis. The team, with Earl as translator, realized two seminars in 4 days. It was an enjoyable and profitable time. In Jinotega they taught Ignite from 8 am til 8 pm to 30 participants including 7 pastors. In Matagalpa the teaching started Friday night and ended Sunday at noon with a registered participation of 47 people. During the review on Saturday evening the pastors commented that the teaching was scriptural, practical and understandable, and the group lab times were a great opportunity to practice and process what they had learned. We all look forward to their return in the spring to teach the Prayer track. Bev spent 3 weeks with her parents in Florida while her dad underwent a knee replacement surgery in Orlando. It was a tremendous answer to prayer for her to stay at a friend of a friend's for 4 nights while her dad was in the hospital. God's hand at work was confirmed when wediscovered that her hostess lived only 4 miles from the hospital. Dad's recovery is going well; he is walking more normal and with less pain than he has in years. We thank God for His healing touch and for allowing Bev to help her parents during this time. The kids did a commendable job of cleaning, cooking, and laundering during Bev's absence, and even Esperanza entered into the work. Luke and Kelsy also spent 3 days at an Identity Youth Conference. We give thanks for this "epic" experience that impacted their lives. As we close the year we also give thanks for the maturing of our older children and their achievements. The past months in Norway have truly been a wonderful experience for me as I have learned so much about God and myself; creativeness and living in a community. I have had several weeks of teaching (two of which have been "knowing God and making Him known" and "kingdom principles") and other weeks devoted to classes in fine art, classic art and graphic design. During a creative exercise, I painted a prophetic painting for one of my classmates. 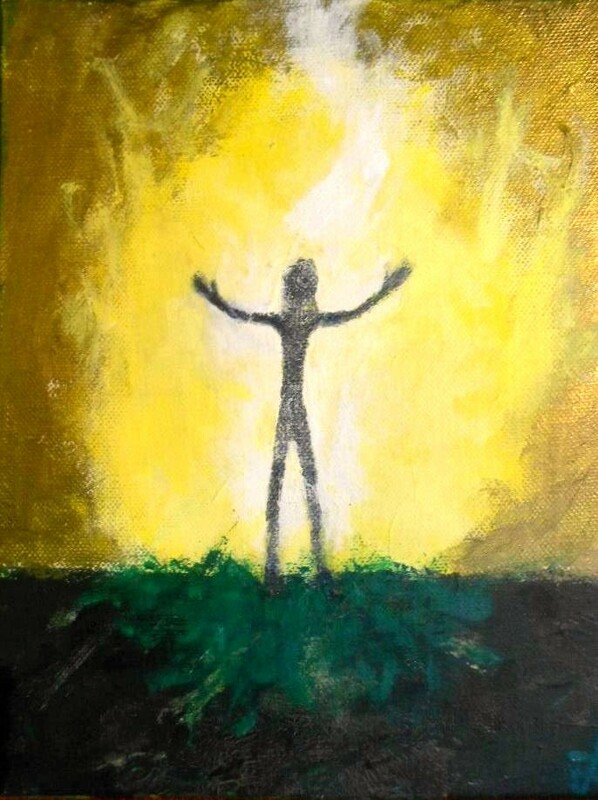 The meaning behind this painting is this: the light emanating from the figure is the presence of the Holy Spirit. Because of His presence, the grass near to her turns green, and where the light reaches, things turn to gold. Because of the Holy Spirit in her, wherever she goes, she will prosper. The semester is nearly over and it has been the most challenging so far in terms of hours and difficulty of classes. Most of my classes are directly linked to engineering, so I am heavily laden with math and technical science courses. I would greatly appreciate prayer for understanding and discipline in my courses. God has blessed me in many ways. I continue to work as a lab assistant in both the Machine Tool lab and the Materials Joining lab here at LeTourneau University. 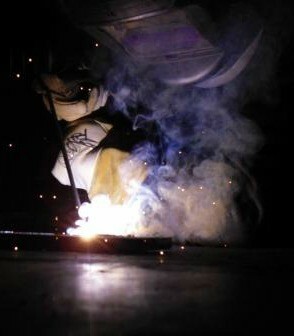 I sought work in the Materials Joining lab my first semester so I could develop skill and knowledge in welding without taking extra classes, and over the past several weeks, my job has allowed me to practice and improve my welding skills. Though I started out sweeping the shop floor, I have been tremendously blessed by God to be today where I set my sights over 13 months ago. Please pray for God's continued provision. He's been good! He won't stop now. I am wrapping up my senior year at John Brown University next semester, and I will graduate with a BA in International Business and a minor in marketing. I love my major and I've been busy completing my capstone business project. This is a two semester long project integrated with a class called Strategic Management. Students choose teams of 4 people and then work together to develop a business from the ground up. This includes strategic growth plans and financials for the first five years of operations. I've been blessed with incredible teammates and together we've learned how unattainable perfection can seem at times, but we are pressing on! On top of the "all consuming" capstone project, I am also president for JBU's chapter of Enactus. This club focuses on the application of entrepreneurship to social development in countries all over the world. Leading a team of officers has been a great learning experience, and the role is providing me with leadership skills and opportunities to network. 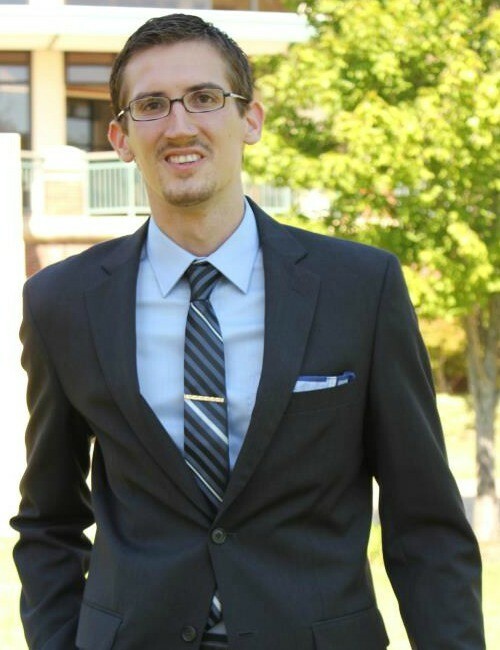 I am currently applying for jobs in the Northwest Arkansas area and am interested in pursuing a masters degree. Prayers for God's direction are appreciated as I approach a new season in life. Without you we could not minister to Nicaragua. Thank you for your prayer and financial support. 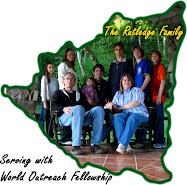 If you desire, you can send support to our World Outreach Fellowship address. Thank you all! It is always an encouragement to know that you are praying for us. We are grateful for your co-laboring with us through your support and prayers. This month we launched the Supernatural Life School with 15 students. We have been working with Ixil Torrez and Pastor Ahiezer Zeledon training and discipling the staff of seven volunteers since June of last year, 2011. 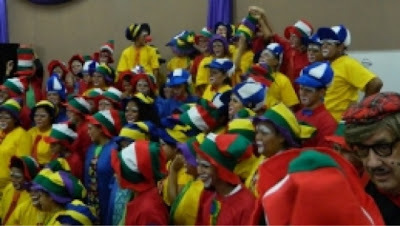 Included are pastors from 4 different churches in Matagalpa and the students are a mix from these churches. We rejoice in the unity that the body of Christ is forming. Our purpose is to raise upRevivalists: believers who are passionate in their love for God and seek His manifest presence in their lives so that they are empowered to transform lives, communities, and cultures with His divine love. The school meets on Saturdays in our house in Matagalpa, and this first course will finish the end of November. We are excited at what God is doing and pray for each student who is actively pursuing a lifestyle of purity and availability to be an instrument of Father God's goodness in their everyday lives during the week. We all touch more lives during the week than we do on Sundays, and we want to activate awareness of the many golden opportunities we have to bring light and hope to those around us at all times. 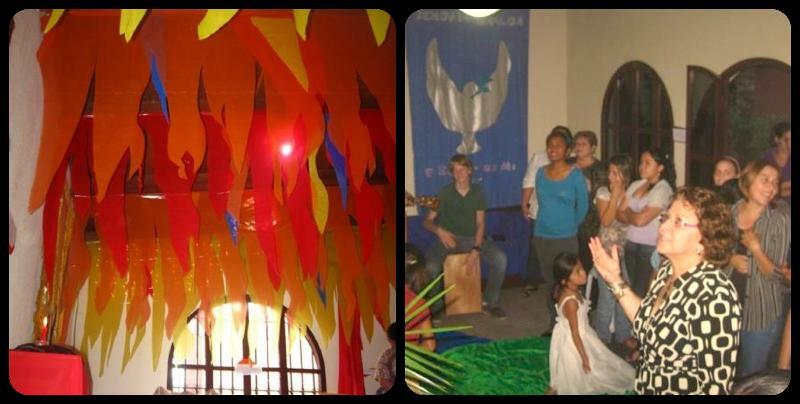 On Pentecost Sunday we had one of our Day of Prayer activities. We set an ambient in our home through creative art and decorating. This invited people to worship and take a prayer journey as they walked through reading scriptures. The arrangement included places to sit down or kneel to pray, reflect and meditate, an area to write their petitions, and a spot to receive prayer before leaving. This time we had live trees with a river going through our living room, hovering clouds in another room, and tongues of fire coming down from the ceiling in another room. God's presence was refreshing, healing, and invigorating. About 70 people came throughout the day, including 3 other pastors here in Jinotega. Our landlady's mother and our Spanish teacher, both devout Catholics, were greatly touched during their time of prayer. God has given us grace to minister Christ to people of all faiths. We thank Him for His goodness and faithfulness. We are grateful for His creative ideas to help others not be scared by His presence, but to feel invited to know the fullness of His love and joy. In His presence we are changed into His likeness. In addition to our Sunday meetings, ladies Bible study, and homeschooling, Bev spends a lot of time praying with women to bring spiritual restoration and emotional healing to their lives (which also often brings physical healing). Mentoring is another activity that allows her to sow into the lives of many young women. One of her mentorees is Geraldine, the Young Life Coordinator for Jinotega. Due to the tremendous help she personally received through being mentored, she asked if Bev would also mentor all her girl leaders. So Bev meets every 4 to 6 weeks with a group of the girl leaders, and in between the group meetings she meets with each girl individually to disciple, counsel, pray with, and encourage them in their walk with Christ. Rachel is another young lady Bev had the privilege of mentoring weekly for 9 months. Rachel just returned to her country of Switzerland. She was here with Latin Link to work in the orphanage north of town. It was encouraging to hear her words at our Sunday night farewell saying how much her life has changed and how she has grown in her time here. She returns to her country with a stronger relationship with God and a brighter light shining His glory. Pray for her as she re-enters her culture that her light and joy would indeed affect those around her. It's amazing to see that seeds we have planted in our serving here in Nicaragua have sprouted up with results in many other nations over the years. 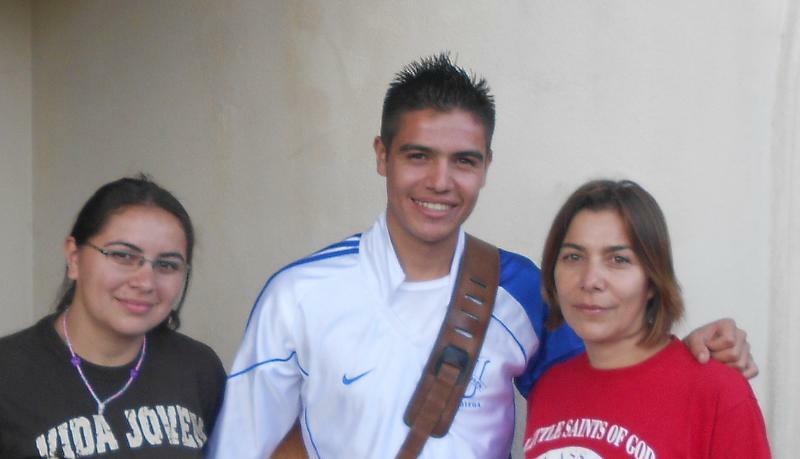 Last month we sent a young man from our fellowship here to Mexico to participate in a YWAM school in Ensenada. Edwin and his sister have been a part of our Jinotega group since we started, and their mom received prayer and healing last year. It totally transformed her life into becoming a sharer of God's goodness and grace. She now regularly brings to us others who need prayer and healing. Our goal to raise up harvesters is being reached. Edwin is the first of our fellowship in Jinotega who has embraced the challenge of serving God in another country. Our son Lance is almost finished with his high school curriculum and is also preparing to live in another culture. He has been accepted to participate in a YWAM Creative Arts Discipleship School in Norway starting in September. Both Lance and Cheree have been key players in creating our atmospheres on prayer days. 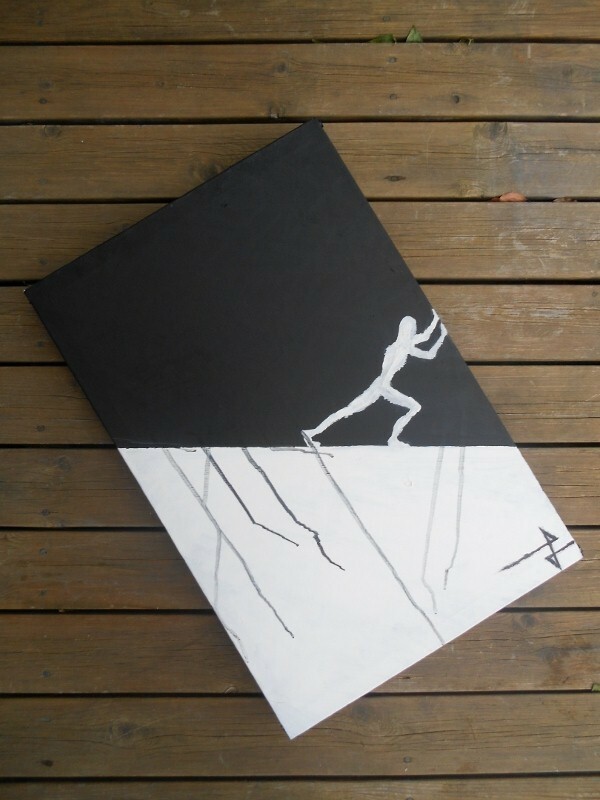 We are glad Lance is pursuing his artistic abilities to show forth the glory of God. This fall Judah will be a sophomore at LeTourneau University and Johnwill be starting his senior year at John Brown University. They are both working in the States this summer to help defray college expenses. Judah will be visiting Bev's parents in July. One of Bev's dreams has been for each of our children to have a chance to spend time with their grandparents, so we are thankful for this opportunity. Cheree and Vicente continue working in Esteli. They teach a weekly Bible study with 10 of Vicente's university students and also started a library (Biblioteca Rhema) to encourage a reading culture and moral values. Luke, Kelsy and Esperanza are still busy with school - we have had many interruptions in school this year, so summer vacation will consist of a free day here and few free days there, with mostly school days, so we can finish this year's curriculum before school is supposed to start again. The good news is that we might have someone coming for September and October to help homeschool. Pray that the details would come together for this help, as it is greatly needed. I has been a long time since I've posted on my blog. Actually it has been almost 2 years and I'll wait no longer. I will try to keep it a bit more up to date with at least our newsletters. Today I'm posting a family newsletter from June 2012, our letter from November 2012 and an update on Lance and his Discipleship Training School experience in Norway. I hope you enjoy and if you've read them before, please pray for us again. Hi! This is Judah Rutledge. I know there is a section on me in my parent’s latest newsletter, but since I will be away from Nicaragua (and, thus, Mom and Dad) until Christmas, I have decided to write a more detailed letter of personal plans and expectations for the year. As I stated above I will soon be leaving the country. This is obviously the greatest change for me, but the last year has been full of numerous, smaller changes. I spent nine months living in Matagalpa with Cheree while taking a computer course and getting my driver’s license. So I enjoyed more independence last year than ever before, even though only an hour away from my parents. Cheree taught me how to set and live on a budget and how to take care of a house, versus just cleaning one. It was great to have some special time with her before she got married. After finishing my computer course and getting my Nicaraguan license, I returned to Jinotega, where I have been helping my parents for the last four months. I have spent my free hours exploring the mountains surrounding the city and making knives, greatly increasing my proficiency in both arts. In fact, I now have knives for sale in Managua and will soon be taking a group of youth up the Peña de la Cruz (Peak of the cross) here in Jinotega. All this is drawing to a close, though, as a new phase of my life takes shape. I will be headed for the states for two weeks and leaving from there to New Zealand to start a five month Discipleship Training School with YWAM (Youth With A Mission). This will be an Adventure DTS, the normal DTS with an extra touch of hiking and extreme sports coordinated with the classes, all designed to help me dive deeper into the ultimate adventure: knowing God and his will for my life. Three months of classes will be given on a variety of subjects such as God’s nature, hearing God’s voice, intercession, how to study the Bible and, of course, missions. After the theory comes the application. With my classmates and leaders, I will spend the last two months ministering in any area of need on a South Pacific Island, probably Vanuatu. A personal goal for this time is to continue growing in independence and maturity, while still under a protective spiritual coverage. This will be preparatory for college, which I’m starting in Longview, Texas two weeks after I graduate from the DTS. LeTourneau University residence halls open the 18th of August, and a new world awaits. I’ll finish my first semester of mechanical engineering and then come back to Nicaragua for Christmas vacation. The year will require more of me than anything I’ve yet experienced, but all is in God’s hands so it will be great! Prayers are welcome! If you are interested in more details or have any questions, write to me at judadr@gmail.com . This year will be the best yet for me; may it be the same for you. Happy New Year! Our awesome God reigns in goodness, wisdom, power, and love, and we rejoice in His steadfast character and in knowing Him. Our 2010 was a year of change for our family as well as a year of growth in relationships. We have established a prayer room in Jinotega, and have ministered to many in the area of forgiveness of past offenses and healing of previous relational wounds, allowing present relationships to improve. We have seen spiritual renewal and peoples’ relationships with Father God restored, and are discipling those who desire to grow deeper in their relationship with Him. 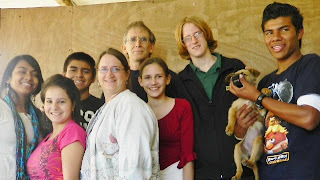 Earl focused on relationships in Jinotega through English classes, English and Spanish Bible studies/home groups, a marriage group and one-on-one discipleship. Other activities included teaching in Young Life Leadership camps, Youth with a Mission Discipleship School, Thompson Chain Reference Bible training, and trips to the States. Oversight of the Matagalpa church continues. Family wise Earl officiated Cheree’s wedding in June and less than three months later buried his mom. In all these experiences of rejoicing, caring, and parting, God’s light shined giving new revelation and understanding of Father God’s love, peace and joy. In September Bev took a break from her busy roles of mom, teacher, hostess, nurse, "pastora" and counselor, to travel with Lance to visit her folks in Minnesota for 3 weeks. After Cheree and Vicente's June wedding and Earl's sister’s visit in July, Bev spent several difficult weeks of caring for Earl's mom during her rapid decline in health until her eternal home-going the end of August. We are thankful that we had the privilege of Grandma living with us these last 8 years and for her legacy of doing all for God's glory. The void created by Grandma’s absence has greatly affected our home school, and we are thankful for Judah curtailing his study plans temporarily to fill in the large gap during this adjustment period in our lives. Cheree and Vicente have had a great six months of marriage. God constantly provides in varied and creative ways! After five months of intense work, Cheree graduated with honors in Graphic Design and Publicity. They pray that, in this New Year, God will provide a work outlet in her career that allows flexibility to care for house and husband. Vicente works full time at a civil engineering firm and teaches classes Saturdays at a local university. Pray for the Lord’s wisdom to make good decisions in their marriage and work, confirming how they can serve Him in Estelí. Our oldest son John is settled down at John Brown University, has a solid group of friends, and just finished the first semester of his sophomore year. He is a triple major in International Business, Marketing, and Management and is on track to graduate in 2013, 4 years after starting. Needless to say, when in school, John is a busy person. Through earning academic scholarships he has managed to pay a great majority of his college tuition. The chance to receive a quality education coupled with a positive college experience is a great blessing to him. Judah finished high school with a 4.0 average, and has added knife making to his existing array of arts. He planned to begin a leadership school in September, but because of his Gram's death and other delays he changed plans and helped mom home school his younger siblings this past fall. He starts a YWAM Discipleship Training School in Oakridge, New Zealand this February. It consists of three months of teaching followed by two months of application through outreach. Judah is responsible for paying the cost of his outreach, $3300, and all contributions are welcome. 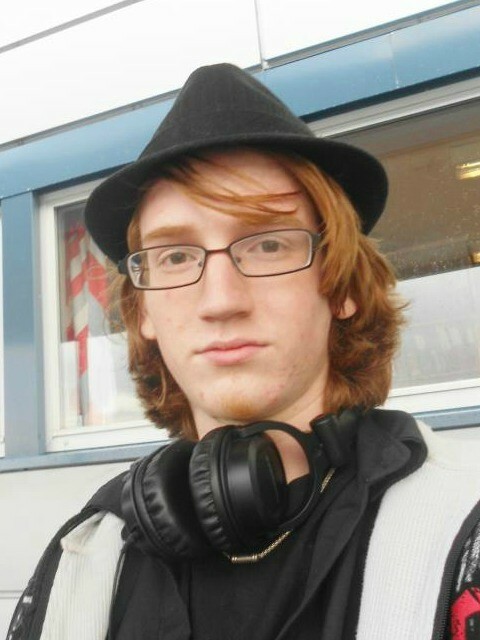 He starts classes at LeTourneau University in August. Lance considers 2010 a year of accomplishments and opportunities. For Cheree’s wedding, he dressed up in slacks, a long sleeved shirt and a tie. This was a major accomplishment, since he considers a collar shirt and jeans ‘’dressed up’’. In September, Lance visited his grandparents in Minnesota. Grandpa has a garage that is practically a whole machine shop, and he learned how to operate several tools and machines during his breaks from cleaning the garage and carpeting the attic. This trip was a tremendous vacation and a definite cultural experience. 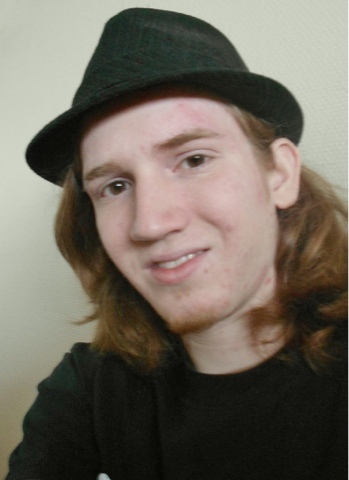 Lance plays soccer, sculpts with clay, and enjoys a large variety of music. Luke has had a hard but successful year. The year was difficult because his grandmother died. He misses being able to help her and talk with her. It has also been a productive year for him in school. He is in the 9th grade and his grades have improved significantly. Luke has a knack for connecting, setting up and operating things like computers, iPods, televisions, cameras, DVD/CD players and other electronics. He is also extremely active and enjoys climbing. He is helpful and caring with his sisters. Kelsy has greatly missed not having Grandma as her teacher this year, but is doing well in 6th grade. She enjoys her Bible class most and read the entire Bible this year. She likes reading and recently finished all the Narnia books by C.S. Lewis. She also likes to write. Six weeks ago on a family trip to San Juan del Sur to help with a library celebration she was excited to get her ears pierced. She has learned to cook more things this year and helps mom by taking care of her younger sister, playing “let’s pretend,” dolls, other games and having tea parties. Esperanza, energy personified, is always looking for “something fun to do.” She enjoys playing with dolls, kindergarten computer games, drawing, and painting but prefers to be doing whatever someone else is doing and being in the middle of wherever there is action. She is Dad’s constant companion when he goes to pay bills or run other errands and is a ready student for Mom to teach. We appreciate your prayers, letters, emails, chats and financial support. This year in ministry we are looking at new challenges, relationships and opportunities which include more travel here in Nicaragua and the US, greater financial commitments and constant wisdom from Father God regarding plans and priorities. Thank you again for your prayers and support of our ministry. We pray God’s excellent goodness and unfailing merciful kindness will follow you throughout this year; that His joy will sustain you when the road seems difficult; and that you will experience His presence and Everlasting Arms of love in a greater way in 2011. Write checks to World Outreach Fellowship. Grandma Barbara, as many in Matagalpa and Jinotega called her, celebrated the last 8 years of her life in Nicaragua as a missionary serving in the gift of helps. Primarily she helped home school and care for the younger children of her oldest son's family. She also interceded for those the ministry was touching. Barbara lived in Nicaragua from 2002 until she passed away August 27, 2010. As a child, teenager, and young lady she grew up in Seymour, Tennessee. She was known as Christine, her middle name, and affectionately called Kricket by her father, William Hall Sr. She married Joseph W. Rutledge in 1956 and gave birth to four children: Earl, Ellen, Lloyd and Fred. Barbara and her husband Joe touched many lives in a variety of ways. In the first year of their marriage they were “tentmakers” in Elgin, Illinois, where Joe taught math in the public high school as they ministered in a Baptist mission in the city. Afterwards, they served as dorm parents at Harrison-Chilhowee Academy in Seymour, Tennessee. Leaving Tennessee, they returned to Louisiana where Joe finished a third degree in engineering. Barbara and Joe both had previously finished masters degrees in Christian Education from Southwestern Seminary in Fort Worth, Texas. The following years were filled with raising a family as Joe worked as an engineer and later Barbara returned to the university to be certified as a teacher for special needs children. During these 16 years both attended church and served faithfully in whatever manner they could. In 1975 Barbara and Joe realized a dream they had put aside many years before and the summer after Earl graduated from high school they took their first missionary journey to the island of Jamaica. The time spent there was short, but it opened their hearts once again to serve as carriers of God’s light to the nations and people that would never think of entering a church door. Joe’s job as an engineer allowed their light to shine as they lived with their family in Mandeville, Jamaica and later Valencia, Venezuela. When Barbara’s husband Joe passed away in 2002 she decided to move to Nicaragua and live with her oldest son. She served in their ministry as she taught and cared for their younger children. Although unable to speak and understand Spanish, this did not prevent her from showing the people that she loved God and that she loved them. In this silent yet powerful way she continued until her death impacting lives of those that came in contact with her. August 27, 2010, at 10:25 PM, after a three month bout with illness, Barbara Christine Hall Rutledge walked through the valley of the shadow of death into the eternal glory with her Lord and Savior Jesus Christ. She passed away in her sleep at the Hospital Metropolitano-Vivian Pelas, in Managua, Nicaragua. Barbara Christine is survived by three children: Earl, Ellen and Lloyd; nine grandchildren: Marcus, Cheree, Sarah, John, Judah, Lance, Luke, Kelsy, Esperanza; and one great grand-child Katelynn. Please believe together with us for the complete recuperation of health for my mom, Barbara. The past 3 months she has dealt with several different health issues and is presently in the hospital in Managua because of low sodium, potassium and calcium and a major yeast infection that has spread through out her body. All is improving well and early next week she should be out of the hospital. Believe with us for restored proper levels of sodium, potassium and calcium; complete healing from the yeast infection; and protection of her vital organs, especially her kidney during this time of illness. We know the healing power of God and believe it is part of our covenant blessing. The biggest and most exciting news for this quarter is the wedding of our daughter Cheree. On June 5th, Cheree married Vicente Diaz, a young man from Matagalpa who now works in Estelí as a civil engineer. It was a very special day for all of us: a rewarding result of 24 years of sowing into Cheree’s life as her parents, and the last 10 years of investing in Vicente as his pastor and teacher. We would appreciate your prayers for God’s favor and direction for them as they start their future together. Cheree is finishing her final graphic design project and will graduate from the university the end of November. Our home remains the focal point of our ministry, and we are thankful for the larger area we now have. It provides privacy for the family while still being adequate for overnight guests, English cl asses, counseling sessions, and meetings. We are finally proceeding in our desire to establish a regular prayer room where people come to pray and receive prayer for special needs in their lives. We want to establish a “hot spot” where the presence of God is so strong that people are drawn to Him as Savior, Redeemer, Healer, Provider, El Shaddai,… We want them to leave changed by their encounter with Him and desirous to come back to enjoy His presence once again. Our prayer room will also serve as a training ground for those in our study groups, teaching them to pray more effectively for people in need. Part of our calling is to minister to ministers, and teach those who will in turn teach others, so we are pleased to have two single women missionaries as part of our regular Sunday morning English fellowship. Earl recently started condensing his English teaching into 250-400 words and posting it in his English and Spanish blogs. Visit A Look in the Mirror. Our Sunday evening service is in Spanish, and we are encouraged by a recent increase in attendance. Pray for the discipleship process to bring changes to their everyday lives. We also are glad to co-labor with Young Life. Three of their leadership couples and one from our Sunday evening study completed our recent eight week marriage course. We finished with a 24 hour marriage encounter in Matagalpa. The time included fun dynamics, Christian fellowship, practical teachings, delicious food, and a special night away in a hotel. Due to desire on the couples’ parts, we continue meeting to teach and expand on topics they have requested. Bev coordinated a pastor’s wives retreat which included ladies from both Matagalpa and Jinotega. Thanks to First Assembly in Fort Meade, FL, each one received a small gift to encourage her that God does see her efforts and rewards His servants. Each was also pampered with a manicure, pedicure, facial, or a new hair style. They returned to their husbands and churches not only spiritually uplifted, but also emotionally strengthened and physically blessed. We give thanks for the funds that subsidized the cost of these events. We know the investment of your donations will bring forth much fruit. Bev frequently counsels and prays with ladies that are experiencing difficult emotional and relational problems. The exercise class that she attends has spurred many new ladies coming to seek prayer. God will use you everywhere that you are open to being a channel of His love. Judah recently graduated from home school and scored very high on his SAT. We are very proud of him. Before pursuing a university career in Mechanical Engineering, he will spend ten months with 24/7, a Leadership/missions program in Mexico City. John successfully completed his first year at JBU with a 3.85 GPA. We enjoy having him home for the summer. We are grateful for the scholarships and grants that cover the majority of his expenses and we continue believing God for complete payment of his schooling. Presently he still needs two student loans. Pray for Grandma Rutledge, our wonderful helper for home school and with the younger children. She is still fighting repeated health problems, this time related to her colon. May God richly bless you for your donations and prayers which are so vital to our ministry. Camping gives me an opportunity to do two things I enjoy: hiking in nearby mountains and spending time with friends. Hiking is one of my hobbies; I like the challenge, the adventure and excitement of an unclimbed mountain. Another thing I enjoy about hiking is that it gives me a change of scenery, from concrete streets to dirt and rocks, from buildings to hills and trees. Just think of all the hiking you have to do to find a place to set camp that fulfills all your purposes. Such as a nice view, plenty of firewood and level ground. Camping is a good way to spend time with your friends. With no one to tell you to behave a certain way, getting out into the wild changes something. You can be yourself and so can they. While sitting by a campfire, one also shares thoughts ideas, experiences and stories. Camping makes for good fellowship. I enjoy other things when I go camping, but hiking and fellowship are the ones I enjoy most. What do you enjoy most about camping? Thank you for your continued prayers and financial support. God has truly blessed us through you! In the past several months many things have happened; here are a few of them. Earl started December with a writing streak. In 21 days he wrote the first drafts of 34 Advent devotionals with prayers based on scripture readings and representative symbols that we as a family have selected, designed, and revised over the past several years. He condensed each thought into 130 words to allow each devotional to be read in approximately one minute. Enjoy them on Thoughts and Reflections, starting at New Life with Advent. Earl plans to revise, rewrite, translate, and record them for a Christmas radio emphasis this year. In December we also visited a local coffee farm and taught on family unity and the value of the man and the woman. God’s love was proclaimed to more than 50 adults plus numerous children through teachings and interactive dynamics; the day ended by eating a meal with the plantation owner, Veronica. We are planning a follow-up teaching soon. John arrived December 18th, the same day Cheree finished her university classes in Managua. 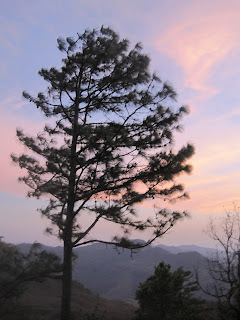 We were able to enjoy Christmas vacations as family in Jinotega. Part of our Christmas celebration included sharing the Advent tree and wreath with our English students. In a new, unique and fun way, the gospel of Jesus was presented. Christmas family time also included visits to Selva Negra and San Juan del Sur. While in San Juan del Sur Earl ministered to a man experiencing many personal struggles, as his visit there was during the last days of his brother’s life. He needed encouragement and a reminder that the only true God sent the Savior whose name is Jesus… Pray for Alberto to continue his search and that he may find the true peace only Jesus Christ can give. The second weekend of January started a busy ten days; we divided our family into different ministry groups for various activities. Cheree and John translated for a PRMI seminar at La Fuente while Earl taught and translated at two Young Life Leadership Camps. John returned to JBU and Cheree and Judah participated in Bethel Church’s Supernatural Ministry School in Managua. In Jinotega, Bev, Lance and Luke united with Young Life to distribute Christmas toys and clothes in a poor barrio. All groups experienced awesome ministry testimonies of God’s healing love touching many lives. We continue to provide counsel and spiritual oversight for the pastors and leaders at Iglesia La Fuente. In November, after nine years in the same location, they had to change buildings. The new location is 45 percent smaller, but much nicer in appearance. We continue praying that God would provide them their own property and building, and for understanding of God’s ways as they continue forward. English classes resumed the 17th of January. Six to twelve students come three days a week for an hour of class. Some students are expressing interest in our Sunday morning English Bible study. One day Connie, a young lady who travels to Jinotega four hours on the bus for Saturday classes at the university, passed by to inquire about a chance to practice her English; she now stays for our English worship time on Sunday mornings. We are praying for more students to participate in that time or join our Spanish Bible study on Sunday evenings. Seven couples attended our first Valentine’s Day activity in Jinotega. Of those couples, three of them are not practicing Christians and two of them want to participate in a marriage study group. We are excited about this new opportunity. We recently moved to a larger house that will be much better for Earl’s mom’s comfort, health, and mobilization (no steps and we now have a yard). It will also allow a front room to be dedicated to prayer, counseling and ministry. We are thankful for the provision to pay the increased rent, but continue praying for even more income for other new activities. After an extended courtship, Cheree will marry Vicente Diaz on June 5, so wedding plans and preparations are also part of our current activities. Vicente is a civil engineer and a fine Christian man. He works in Esteli, another one of our target cities. · Continued provision and protection – we are thankful for the blessing God always provides. We never want to take it for granted. · Health – especially Earl’s mom, Barbara. She has had frequent bladder infections that have affected her kidneys. · New ministry in Jinotega as we relate with our English students and develop new relationships with married couples. We are also increasing our ministry in counseling, inner healing and prayer for the sick. · Maintaining links with people with our change of houses to a new location in the city. 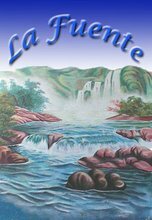 · Continued forward movement and growth at Iglesia La Fuente, encouragement and patience for Pastors Raul and Olivia Castro, and the ability to obtain their own church building. 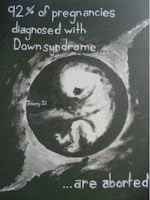 · Our children as they continue growing in independence and life purpose. Thank you very much for your prayer and financial support. God has been very good to us. Iglesia La Fuente MOVED. God is up to something when He moves you from a big building to a smaller one. Here are some pictures on Cheree's FB. This is the new location. It is exactly in front of the previous one. What Can Coffee Plants Teach Us About Families? Several weeks ago the owner of a local coffee farm asked us to organize a seminar on family relationships for her farm workers. Bev and I talked through ideas and decided to focus on three main thoughts: we all need each other; there are good and pleasant things [gold] in all of us; and we must take care of our family. Saturday, December 5th was the agreed upon date, so we started the afternoon with a ride in a pick-up and made the 1.8 mile trip up and over the mountain in 25 minutes. It is close to Jinotega, but the conditions of the road and the steep inclination increases travel time. The Lopez family is concerned for the total well being of their farm workers. They have built 2 school buildings and continue improving conditions for their temporary workers [approximately 500] that come to harvest the coffee cherries. This interest resulted in our visit to share with the fifty permanent workers of the farm. We started with a couple songs and a dynamic of forming groups based on the parts needed to complete a body. Each person was given one of six parts and had to find five others with the pieces they lacked; united the puzzle was whole. We need each other and are crippled when we are missing a leg or an arm. The same is true with our family relationships. Everybody has something to offer to make the family complete. We also taught that the external appearance does not determine worth. It just so happened that the pretty flowered bag that everybody chose as their favorite was full of trash. The other two plain brown paper bags held something of value: a pearl [godly character] or a knife [God given talents]. We all have talents and the chance to develop godly character. So does everyone else. Let’s not overlook the blessing of God in others just because their external appearance is not attractive to us. Finally, we made a comparison between the coffee plant and the family. Newly germinated plants are kept in a nursery and need careful attention, just as babies and children require special and frequent care. Once the plant reaches 6-12 months it can be transplanted to one of the fields on the plantation. Although the plant is strong, it still needs to be watched and protected as it continues to grow. The tree needs 3-5 years before it produces fruit. Those years for a coffee plant were compared to the adolescent years. Our teens still need godly parental guidance and love as they become more independent, ensuring a healthy future and the fulfillment of their destiny. After the years of growth and maturing, the plant enters the productive years and bares fruit in abundance; as adults we marry and have children. Our relationships must still be nurtured. We must care for our spouse and our children; they need our love, care and concern. With proper care, the coffee tree can produce for 25-30 years. The cutting of unnecessary limbs and two or three radical prunings gives new life and increases productivity. Likewise, in our lives there are distractions that take us away from the more important needs of family, wife, husband and children. We must eliminate them in order for the family to remain strong. As the plant advances in years it can still be productive if given individual attention. Our grandparents and the elderly have much to offer if we will just take the time to stop, help them, and listen to their years of understanding and experience. The constant care and year long maintenance of coffee plants serve as an excellent example to teach us that we need to provide planned, continual care for our families. We closed with a blessing for the community, the farm, the workers, the families, men, women, youth, teenagers and children. We are thankful for people like the Lopez family that are concerned for the integral well-being o f their community and workers. The evening ended with a beautiful sunset, a fine meal and enjoyable conversation, a very tired little girl, and a slow ride back down the dark hill in a light rain. God has truly blessed us. You can look at a few other pictures on Facebook [click here]. Thank you for being a part of what we do in Nicaragua. Welcome to our blog where we keep you informed of what is happening in our ministry and lives in the beautiful cities of Matagalpa and Jinotega, Nicaragua.